Why vaccinate adults against hepatitis A? Hepatitis A is one of the most common vaccine-preventable diseases Americans get during travel. About 15% of people with hepatitis A require hospitalization. Adults with hepatitis A lose an average of one month of work. Which adults need hepatitis A vaccine? Adults travelling to countries outside of the US, except for Canada, Western Europe, Japan, Australia, and New Zealand. Household members and other close personal contacts of adopted children newly arriving from countries with moderate or high rates of hepatitis A. Adults with liver disease or a blood disorder like hemophilia. Adults who use injection or non-injection illegal drugs. Hepatitis A vaccine is available alone or in a combination with hepatitis B vaccine. Some people who are infected with hepatitis A never develop symptoms, but they can still pass the infection on to others? What happens when someone gets hepatitis A? Hepatitis A can cause varying symptoms, but most often causes fever, tiredness, appetite loss, nausea, abdominal pain or discomfort, diarrhea, and dark urine. Jaundice is another common symptom that causes the skin and whites of the eyes to turn yellow. Most of the symptoms of hepatitis A will last less than two months, but some people will experience symptoms on and off for up to six months. Why is hepatitis A vaccine important? Hepatitis A is a very common vaccine-preventable disease Americans get when they travel outside the US. Hepatitis A is easily transmitted by contaminated food or water. Adults who get hepatitis A lose an average of one month of work. 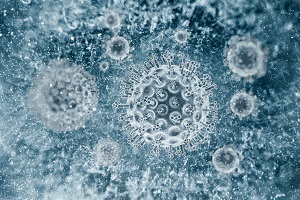 FAQ: Does anyone die from hepatitis A infection? About 100 people die from hepatitis A in the US each year.